October, 2017 | Doug Turner Plumbing CO.
Should You Hire a Master Plumber? When it comes to dealing with plumbing problems in your home, we know how aggravating it can be. In the best case scenario, something like a drip will be easy to fix simply by tightening a connection or two. But plumbing problems that necessitate calling in a professional plumber are of course going to be more serious. We’re talking about main water line breaks, slab leaks, sewer line problems, major blockages, and the like. If you do a quick online search, you can likely find a number of plumbers in our area. But how much training do these plumbers have? What’s their reputation? Will they get the job done right, or will they leave your home in shambles? We’re here to ease your worries—when you contact our team, you’ll be partnered with a Missouri City, TX master plumber with years of experience, a high level of training, and the necessary licensing and insurance to do work in your location. 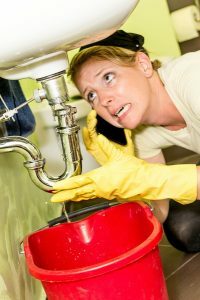 Posted in Plumbing | Comments Off on Should You Hire a Master Plumber? When it comes to plumbing tasks like having a faucet upgraded, seeing how you can improve your water pressure, or installing a new water treatment system, it’s easy to call for an appointment at your leisure. A plumbing contractor will be able to schedule services, and you’ll be able to have them done at a time that’s convenient for you. But what if there’s an emergency within your pipes, drains, or fixtures? These incidents never happen at a “convenient” time, and you need someone to show up fast! You may also need to take some preventive action to reduce the damage that a plumbing emergency can cause. Fortunately, our team provides 24-hour plumbing in West University Place, TX. But until we can arrive, and to prevent further damage later, there are a number of steps you can take to mitigate loss.